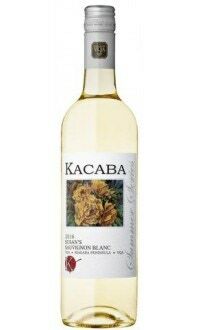 Sorry, Kacaba Vineyards does not ship wine to United States. This Chardonnay was aged for 8 months in fine French Oak. With enticing aromas of peach and nectarine mix with vanilla bean and fresh baked bread on the nose. The palate delivers bright and lively peach and honeydew fruit complimented by a rich buttery backbone. Enjoy this complex wine on its own or match with Braised meats (lamb shank, pork loin), smoked salmon, or pasta with creamy sauce.